This weekend we have two new mesh kits, and one group gift. The kits are a beautiful standing candelabra and an exterior light for your garden (or to be used on top of fences). 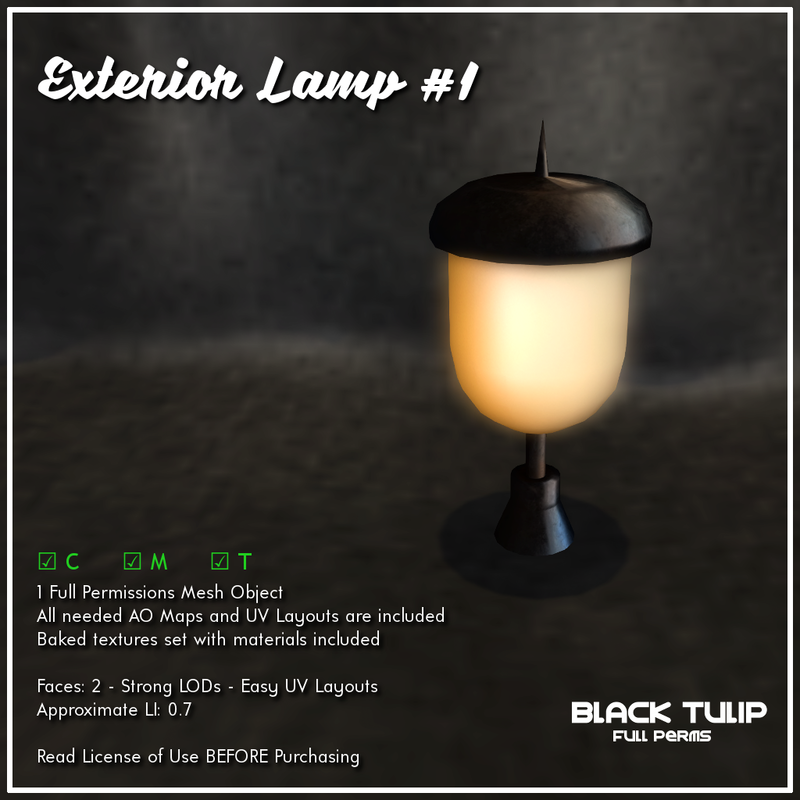 Both include a set of baked textures with materials and are set to promotional price until Monday. As usual, you can expect from these kits our hand made LODs for optimal view at any distance, and our easy to use UV maps and AO maps. 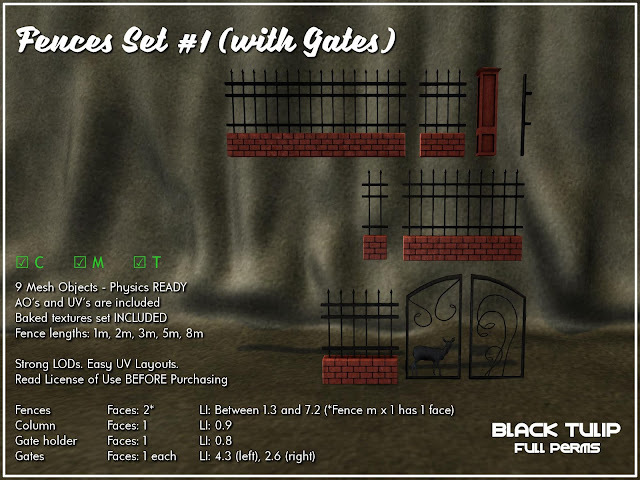 Our new group gift is a carefully constructed fences kit. It consists of one pillar, a fence in several sizes (1 meter, 2 meters, 3 meters, 5 meters, 8 meters), a gate holder, and a set of gates. You can use them at their original size, or scale them. If you scale them, remember to scale all the pieces at once or they won't match (unless that's the effect you're after). The gift is available to non-group members at the price of L$2500. It's now set 50% off (so, L$1250) and this discount will last one week.